Boni has posted a card using the Yoga Set -and there are more great cards HERE -this is the FCD gallery of cards made with this set. The image just ate my blue! Is is barely visable- but it is there! I wanted to use the Artistic Outpost stamps I won last month-this set is called The Outpost. (I entered the Referral program on their blog for just using a set on my blog and posting on SCS, and I got very, very lucky- there are many very talented ladies that post their artwork there….). I used Wild Wasabi- because I do not have Kiwi cardstock, and the white just drowned out the main panel, so I went to the dark side and added black instead- to add white into the card, I added the white as paper piecing for the house. My next card will be a Michelle Zindorf like scene with this image- if you have not visited Artistic Outpost before- you will be in for a treat!!! Here is the link to view the other Kiwi/Blue/White projects by the Bloggers Challenge group this week. Thanks for stopping by- Have a great day! I have been playing along with the D2D digital images (Designed2Delight) for a while and always love the way they turn out. This sweet singing bird is headed to Afghanistan- hopefully the young man I send it to will send it home to his Mom….. I work with his Mother and I know she would love this sweet card. 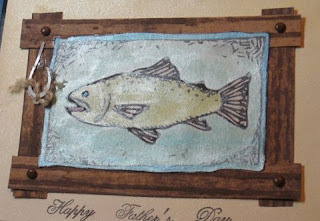 The sketch is from Operation Write Home Stars and Stamps Challenge Blog #22 (OWH). Operation Write Home is a group that sends cards to soldiers by the dozens and hundreds! Please stop by the blog and check out how you can help! If you are a demo of any company- they would LOVE to have your retired card fronts-no glitter allowed. I can attest to the fact that the soldiers LOVE having cards to send home. I also used a music theme from the Incy Wincy challenge blog. I colored the image with Copic markers E31, E33, E35, E39, YG03, YG17 and I water colored the bird with SU Soft Sky and Blue Bayou with the aquapainter. Next, I have a little story to tell you- last Sunday-yes, Father’s Day, our family headed out to church. As we were pulling into the parking lot, we ran out of gas……! My husband has a little ‘self challenge’ to see how far he can go on the least amount of gas…..he has never run out before… (believe me, I mag him about it because usually I get into the car to go somewhere and there is no gas!) So, I made this for the family in our neighborhood that 'rescued us' gave us a ride home.…….. I just got some stamps from I Brake for Stamps (a grab bag) and guess what image I got in the group??? THIS is the link for Wacky Wednesday at Firecracker Designs by Pamela. I always enjoy a good sketch challenge- and this one was no exception! I went with the Red/White/Blue theme for the Patriotic part- and I made one card for the 4th and one for a Birthday card. I used Ranger Distress Inks Worn Lipstick, Tattered Rose and Brick for the BG, then ‘double bugged’ it using Swiss Dots and I am not sure of the name of the dots folder………. (Technique Junkies technique). The image(s) are a Freebie thru Saturday over at Firecracker Designs by Pamela colored with Copics B79 and R24 and R29. I added glitz to the flip flops with Copic Spica pens Sky Blue, Red and Clear plus I added a rhinestone gem in the center of each flip flop. I used SU Mini Mates for the Sentiment. (My husband grew up around boys- he does not understand why we NEED so many colors and pairs of flip flops…………LOL). I hope you will join us at the Creative Belli Challenge this week! Crazy Challenge-All things Spotty- the background was made just for this challenge! Lot of spots! 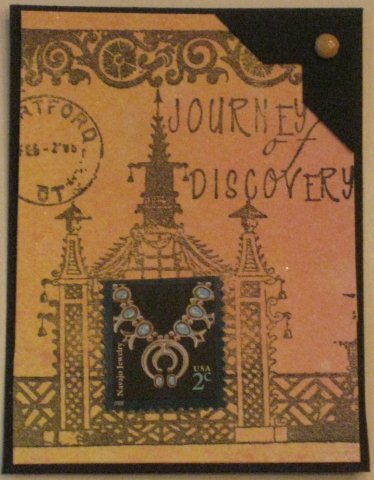 Each Wednesday, Pamela at Firecracker Designs has been offering a stamp set at 50% off. (Pamela is the owner of FCD). This week the stamp set offered is Clearly Greetings- just $5.99 today only 6/23 12:01AM to 11:59PM! This is a MUST HAVE stamp set- it is perfect for any occasion. The individual stamps are clear, so they are easy to line up and you have the perfect sentiment for cards all year long. 1. FCD is sponsoring this sweet young lady’s blog challenge-Iris. She is 10 yrs old, and has started her own challenge blog!! The theme for this challenge is summer!! (quick, go grab that free flip flop freebie and play along!). Her challenge starts June 28 and runs til July 19th! I’ll post the direct link with a reminder soon as she goes live with it! 2. FCD is sponsoring the Good luck/Best wishes challenge at Spoon Full of Sugar! Click here to read all about this challenge and how you can enter to win $15.00 in digital images!! This challenge is going on NOW! 3. FCD is sponsoring Wishes for Bella challenge. Please create a card to send to this little girl who has lost so much and still keeps smiling. To read all the details of her story, click here. To read and join in the challenge click here. FCD is sponsoring the grand prize collection with a $10.00 gift certificate! 4. FCD’s own Eclipse challenge! You still have a few more days to submit your art for this fun challenge as we wait for the release of the newest Twilight film-Eclipse! Click here for all the details on this one. One winner will receive the Love Bites stamp set, or a $10.00 gift certificate! I hope you’ll join in and play along with one or all of these FCD sponsored challenges! Where we hope we are bringing a smile to your stamping heart! The theme was football- which is soccer here. I used a digi image from CocoDingo with ink daubered on and the shoes colored with Copics. Which do you like better-the red shoes or the blue ones? Next, I cut out some pictures from a magazine and collaged them into ATC’s….I cannot remember which magazine now…. The last one has a border of flags of the participating teams, around the edge, then the Nike fundraiser to help stop the spread of AIDS/HIV in Africa- buy red Nike shoelaces, and Nike will donate $4.00 to the fund. These ATC’s are my first like this- they will be a good memory of the World Cup IF we get better ref’s (LOL) and hopefully the USA will advance- we’ll see on Wednesday……. We are celebrating Road Trips on Open Roads with a Blog Hop-and we are celebrating with guest designers from The Paper Temptress. The Blog Hop runs Friday 6/18 at 8AM through 6/21 at 8PM. My song for the Blog Hop is Rocky Mountain High by John Denver- we went on a huge road trip to Colorado when I was young- my family-7 kids in a station wagon- camped at the YMCA camp of the Rockies-best memories ever!!! I made a scene with my Brayer using Little Things, Just Breathe (trees) and Create a Scene (grasses). The sentiment uses Clearly Greetings- mix and match to make ANY sentiment! The Blog Hop is circular- so keep hopping until you get back to where you started. 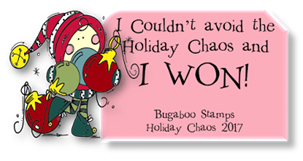 There is a prize- you can win a stamp set OR two digital images- so please leave a comment on each blog. The June paper pack by the Paper Temptress will also be won by one lucky commenter-leave a way for her to reach you! Pamela will announce the winner on HER BLOG-so please stop back to see if you are a winner! There is a fun challenge on-going at FCD- the Eclipse challenge- there is also a free Digital Image that is perfect for the challenge. Here is the link for the Challenge and here is the fun freebie- come play for another chance to WIN! I sure wish the glimmer of this paint would show up better in the photo’s! I started with the Surf- I found this great image- a D2D 100 member freebie at the new Crafters Digital Art Center. (My husband just returned from a relaxing fishing trip in Canada, so I know he will enjoy a Father’s Day with a fish theme). The sentiment is from a great clear stamp set from Firecracker Designs by Pamela-see it HERE. CI paint colors used: Green Olive, Seafoam, Aqua Marine, Tanzanite, Turquoise, and Fairy Dust. Colors used in the Mini Mister: Tan, Sunshine, Tanzanite. I used a Fantastix stick to paint on the colors. I used the paints in mini mister and tried to achieve a Technique Junkies background usually made with Glimmer Mist. I have to say that the paint needs to be thicker for the technique- but really leaves a very shimmery background! I will try again with a little more pain or a little less water. The background paper is Abysse which I have had for ages and finally decided to just do it and cut into it….and it is delightful IRL! See all of the DT samples in one place HERE on the CI blog. Here is the Creative Inspirations website. I found a little time yesterday to color the D2D mouse, going more subtle with my Copic Markers. I am not sure which I like better……. At D2D or Designed2Delight, if you play along with the digi images, next week’s is free. Have a Blessed Day and thanks for stopping by today! It's Whacky Wednesday again at FCD and you know what that means! This week Leading Ladies is 50% off- no coupon code is needed- the price in the store is $6.50 until tonight at midnight! Seriously, that is ALOT of rubber for $6.50 ladies! 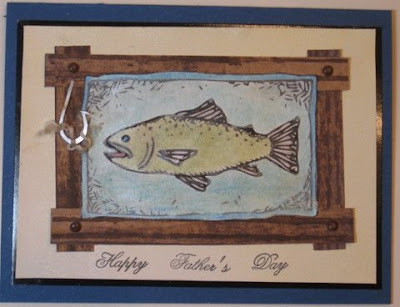 There is a sample using this set on Boni's Blog, and more samples here from the FCD store gallery. After you browse the FCD stamps, check out Pamela's blog post HERE for an Eclipse challenge and HERE is a FREE digi- you can win red rubber, or be chosen as one of the top three cards and be chosen to display a Fav Three Blinkie on your blog! We'd love to see what you come up with! Following the theme of the Eclipse book, you too must choose between love and friendship. Either make a romantic card or a card for a friend, include one or all of the options below! 1. Eclipse inspiration! Use a red ribbon(from the book cover), a white circle and a black circle (the eclipse). 2. Depict the conflict between hot (Jacob) and cold (Edward)! some examples: Use your heat tool (hot) to make cracked glass (cold) or show hot and cold by using color combinations like: warm reds/oranges/golds versus cool blues/greens/white. Submit your link to Mr. Linky HERE on Pamela’s blog until June 29th. One random winner will be chosen from the submissions on June 30th!! Prize will be Love Bites stamp set OR a $10.00 gift card to Firecracker Designs by Pamela store if you already own this set. OH yeah, AND the top THREE artists will also receive a FireCracker’s Fab Favorites blinkie to post on their blogs!! (I’m going to pick my top three favorite pieces…grin) Leave your comment with link to art to enter HERE. PS Look forward to joining us for a ‘Road Trip’ Blog Hop this week starting Friday! The Creative Belli Blog challenge today is Rub-ons. I have NEVER used Rub-ons ever before…I do have some though…..LOL…. I used a background by the Technique Junkies called Glimmer Mist Watercolor. (Sky Blue and Yellow Glimmer Mist were used). I stitched it on to a black panel of CS that was distressed around the edges. I layered that on a Turquoise cardstock base. I then added the rub-ons. The sentiment is a digi from Doodle Pantry. We have new neighbors that have purchased their first home- perfect and X-tra special for them! (And, they are expecting their first baby too!). Thanks for stopping by today- and I hope you can join the Belli crew for the rub-ons challenge- you have two weeks to play! 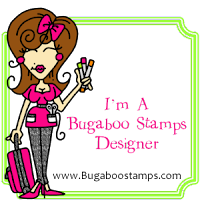 Each Wednesday Pamela at Firecracker Designs offers one stamp set for 50% off. This week, the set is right up my alley- it is an ATC set. The ATC 2009 set is only $4.49 today only- until 11:59PM tonight. No coupon or code is needed- it is this price in the store. I used the Turtle set available at FCD-stamped it on Glossy White CS, colored with SU markers and clear embossed it and the leaves. I stamped the background image with Teal and sponged on Bashful Blue. I added some accents- the background is the background whimsy from the Technique Junkies. Always sign the back of your work when you make and trade ATC’s- I like to document what I used-because I have a bad memory! If I look back later, I can see what inks I used, etc…..
Pamela also has a FREE Digital image available until the weekend- Grab it HERE. I colored with Copics and wanted to add glitz- but this is going to Iraq- so no glitter is allowed. So, I added glitz with Silver Metallic sewing thread and did some stitching around the edges of the card. 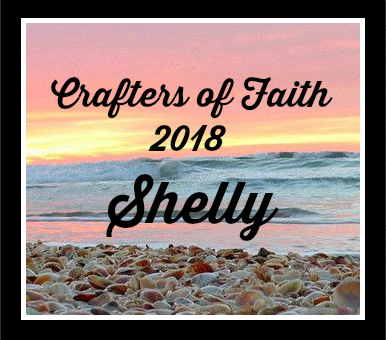 One more thing- over at the Crafters Digital Art Center-a forum for Digi papercrafters, Pamela has a Sketch Challenge posted in the FCD Group with a chance to win a digital image- we’d love to have you join us! I am back in the saddle with the Designed2Delight images. During the first week of each month, Faith posts a free digital image. If you create a card and post it on her blog, you receive the next digital image free. I started playing along to try out digital images, and really like Faith’s images, so kept on going. I made two-same image but different layouts and colored them just slightly different. On the 2nd one, I colored in the plant pot brown- then was not sure it would match the DSP….. I like them both IRL, and already know who is going to get them! The technique (by the Technique Junkies) is called Herringbone. The floral bouquet image is colored with Copic markers and I put Glassy Accents/crystal effects in the centers of the flowers. Thanks for stopping by today and I hope you have a great day. I have been playing a bit in the past week making Artist Trading Cards- ATC’s for short. They are little samples of techniques and not necessarily meant to be ‘mini cards’. They measure 2 1/2 x 3 1/2 and fit into baseball card sleeves. The first cards I made were for a swap using a ‘technique’ from RubberStampChat. Laid the cardstock over the ink puddle to pick up the color. One spritz of bleach from a mini mister- I sprayed it into the air and held the card and the bleach did it’s work. Not what I expected at all…..the card turned a shade of Pink……..some more pink than others- that is why I put two in the photo…..
Stamp-Stampers Anonymous (all one stamp). I made this for the Fun with ATC’s Tuesday challenge- I used the Glimmer Mist Watercolor technique by Technique Junkies. I used soft pink and yellow. The stamp is Unknown (please let me know if you know who makes this stamp). The theme is a ‘stamp’, so this has a postmark on it, so it qualifies for the challenge. Lastly, I joined an ATC group that meets one a month in my area- Yeah! There are no local stamping stores, so I am thrilled. They are more artsy than I am- I am more of a rubber stamper/Technique Junkie- I am thrilled to share and learn and grow! Yesterday, we made folded ATC’s ….something new and used napkins on our folded ATC’s- never done that before either….. I do not really collage pictures onto a background, or apply old book pages or emphera to pages either- so I am excited to try all of these new things! We had a swap with a theme: Romance. I made this with Distress Inks Tattered Rose, Scattered Straw and Antique Linen- technique is Antique Wallpaper- I love this IRL- such a neat effect! I used Firecracker Designs by Pamela-Parisian Romance Stamps. Coloring was simple- E000 and E00. (I made the skin tones just a touch different) I used the Copic Spica pen for the bracelet…I would have added pearls on the bracelet, but I had to make 12 of these…. My user name is Mcschmidty (just like on SCS). Graduation is the theme for this week Bloggers Challenge. The school colors here are Orange and Black. I used a Digital Image from Firecracker Designs by Pamela. I colored the image with Copic Atyou Spica Pens- which makes my main panel nice and sparkly! Inside- I made a little insert for a gift card. On the top, I stamped an image from FCD red rubber Theater Lights- the graduate is going into pharmacy, so I made the image like a pharmacy sign and changed the pharmacy name (LOL). The bottom is a background stamp by Inkadinko. I just want to drop a quick note- if you are a Papercrafter that is enjoying Digital images, Priscilla has initiated a new forum for Digi Crafters (similar to Paper Craft Planet)- more HERE on her Midnight Madness Blog post today. You will find different Digi Stores as well as paper crafters you know or recognize names. Here is the link to come join the forum- please consider joining the Firecracker Designs by Pamela group and stop by and say hello! -There is a badge available on the new site for your Blog-just like the one to the right on my blog- look on the main page on the right side for the blog code to add. There is a challenge for June- the kick off month- with lots of freebie images! Post a card to the forum for a chance to WIN some Digital images! Team A of the Creative Inspirations Paints challenge this week is to use Acetate on our project along with Creative Inspirations Paints. I decided to make a gift set for a gentleman that fixed my lawnmower last week while my husband was out of town…….. I made 6 cards, 3 of each layout and put them in an acetate holder from CDS with an acetate tag on the front. The tag is backed up with a piece of CS with a Technique Junkies technique called Twinkling Faux Stenciling in light blue and silver Twinkling H2O’s. The shimmer is awesome and very difficult to photograph! I am a little OCD, I sorted my Su paper and tried to use the new colors- Soft Suede, Real Red and Blue Bayou. The layout is a CASE from a SU mini catalog. HERE is a link to the Creative Inspirations Challenge Blog where all of the DT samples are posted- check back next Thursday for Team B’s projects. Today-Wednesday- from 12:01 AM to 11:59 PM , Pamela has the Stamp Set Happy Hour 50% off. HERE is a link to the gallery with more samples. I am off to work for the day. May your day be filled with sunshine and a cool breeze- possibly a cool pink smoothie or Margarita! Welcome to the Daisy Doodles Store Grand Opening blog hop! The Blog Hop will be three days, and I am so thrilled to be here for Day ONE. If you arrived from Mary's Blog, you are in the right place-and wasn't Mary’s card great? (If you didn't come from Mary’s blog be sure to visit Daisy Doodles Creative Challenges blog and start the hop from the beginning). If you get lost along the hop you can always see the hop list on Daisy Doodles blog. This is just one example of the many beautiful digital images available at the NEW Daisy Doodles Stamp Store. The Daisy Doodles Challenge Blog will kick off the hop each day June 1st thru the 3rd. There will be one prize given away each day by one DT member by random draw so hoppers must comment on each blog to make sure they get their name in the drawing for that particular day. (We will not know which blog will be choosing the winner). The prize is the new release.."Summer Fun" Digital Stamp Set-TEN stamps in one set! You won’t want to miss the fun over at SNR during the hop, so please follow THIS LINK to check it out! There will also be a SALE for the Grand Opening! There will be a Freebie for signing up for the Mailing List at the Daisy Doodles Stamp Store on Thursday, June 3....and all names entered will go in a drawing for the "Summer Fun" new release. Your next stop will be at Jane’s Blog.